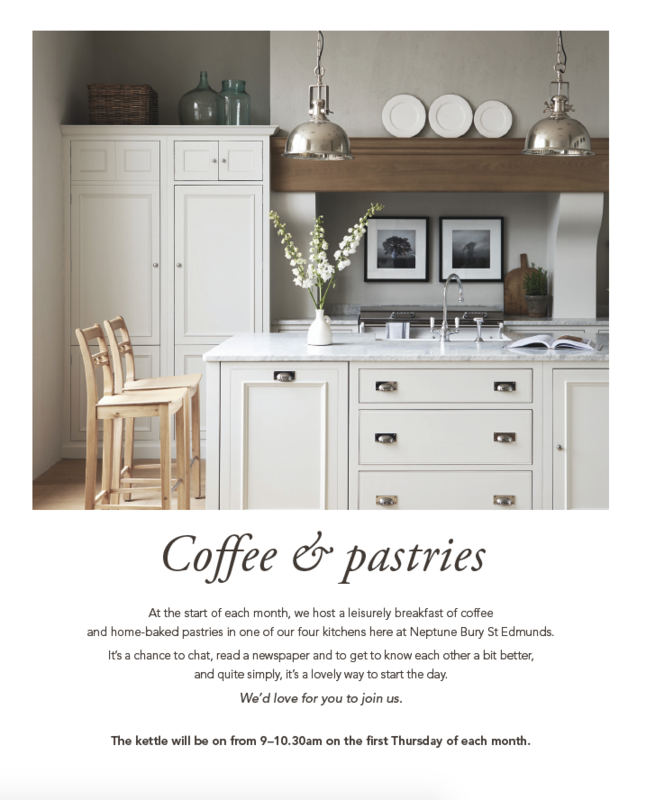 At the start of each month, we host a leisurely breakfast of coffee and home-baked pastries in one of our four kitchens here at Neptune Bury St Edmunds. It’s a chance to chat, read a newspaper and to get to know each other a bit better, and quite simply, it’s a lovely way to start the day. We’d love for you to join us. The kettle will be on from 9–10.30am on the first Thursday of each month.